The brake lining still needs to seat in the surface of the brake rotors. This is a normal function in a brand new set of brakes. And “seating” will occur naturally with steady driving and fairly careful braking. Meaning, not waiting until the last second to start to brake at every light or stop. 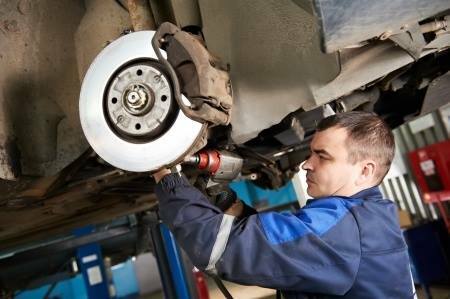 You can definitely apply your brakes fully and completely when your vehicle comes right out of the shop. Just give yourself plenty of time to brake at all stops and lights. Try not to gun or work your brakes really hard during those first 500 miles. Otherwise, you run the risk of overheating the brake pads. What happens is, they’ll get “glazed” (from overheating). The glaze changes the texture on the pad and can create squeaking in your new brakes. It could be that the brakes weren’t lubricated correctly in the service. Or, that new brakes weren’t broken in correctly. 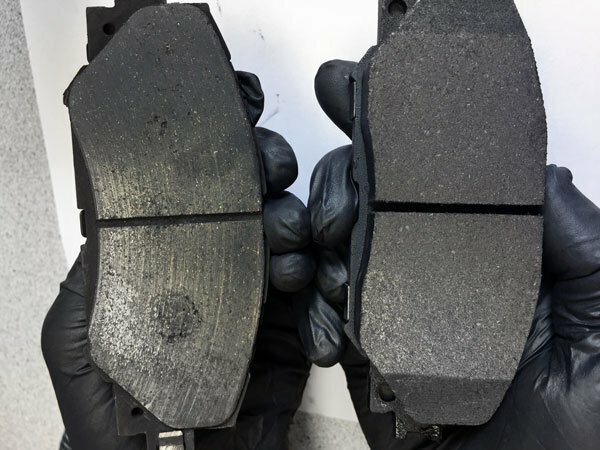 The driver may have unintentionally overheated the new brake pads to the point where the brake pads developed a glaze from overheating, which does cause squeaks. If a driver guns their new brakes and works them really hard right out of the shop, what happens is the brakes overheat and begin to glaze and that’s what causes the squeaking. What we do in the shop is we’ll remove the brake pads, sand off the glaze to get to the surface of the original pads, relubricate the pads and then put it back together. Many times, this situation comes from the driver stepping on the brakes too hard or trying to slow down too quickly, before the lining has seated into the surface of the brake rotors. After that first 500 miles without overheating the pads, your new brakes will be ready for a few harder stops. Grinding sounds are bad. Definitely have those brakes checked if you hear grinding sounds when you use your brakes. Sooner rather than later, for safety and savings. Yes. Driving a vehicle that has something grinding under the hood for a prolonged period could actually cost you if something else breaks or snaps and causes further damage. Best to get those grinding sounds checked out and fixed asap.